Tired of using inefficient epilators for your unwanted hair? We all know how frustrating it gets, but here is a surprise for all you guys! 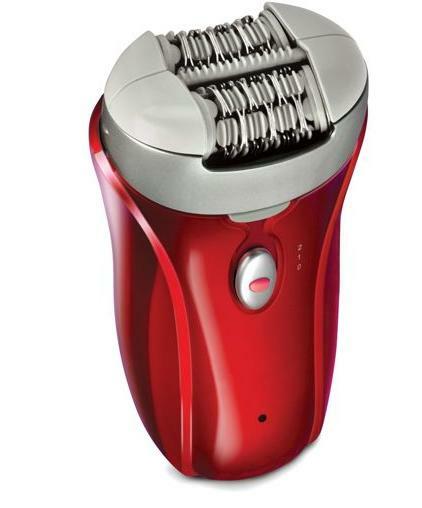 This Epilator can remove all the unwanted hair in just one go. You don’t believe me? Why don’t you try it out yourself? This one has around 72 tweezers which are by far, more than the epilators you use. Now, you don’t just get an epilator here that removes all the unwanted hair in one go, but you also get to save your skin from bruises. Imagine you have an epilator that can smoothly remove hair without the need of going over an area again and again. Wouldn’t that be a relief? It sure would be as we all know how much hectic it is to use those standard epilators. They truly consume time and most of them often give bruises and scratches. So, with this one, you get to say a big BYE BYE to bruises, scratches, and left over hair! Well it epilates the hair for one! It can epilate flattened and short hair down to 0.4 mm easily. The tweezers remove the hair from the root. You won’t get bumps as well because the hairs are removed from the root giving you a smoother and shinier skin. Most of all, you won’t see the hair growing for 6 months! Are you kidding me? It’s not at all dangerous. When you use it on the skin, it holds the skin tight and moves smoothly without you even noticing it. You won’t feel any irritation or scratches on your skin. It has a dual counter rotating head and has two speed modes. You can even use it on the most sensitive parts of your body without worrying about getting hurt. This epilator is considered best to be used on the underarms, lips, and neck. The package, which is available for $99.95 , comes with a cleaning brush and a storage pouch. The epilator can be plugged into any standard AC socket. It is 5 inches high, 3 inches wide, and weighs 5 ½ oz. Check out some more accessories here: Transformer Chain Wallet and The Infrared Thermometer.